Dr. Janis Taube is an Associate Professor of dermatology and pathology at the Johns Hopkins University School of Medicine. Her area of clinical expertise is dermatopathology. Dr. Taube serves as the Director of the Division of Dermatopathology and as the Assistant Director of the Dermatoimmunology Laboratory at the School of Medicine. 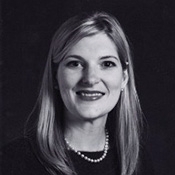 Dr. Taube received her undergraduate degree in engineering from Duke University. She earned her M.D. from Tulane University and her M.Sc. in molecular medicine from University College London. She completed her residency in pathology at Johns Hopkins where she also served as the chief resident, before undertaking a dermatopathology fellowship at Stanford University. In 2009, Dr. Taube returned to Johns Hopkins for her certification in the Melanoma Clinic. She is one of the lead scientific researchers in the Department of Dermatology at Johns Hopkins. Her research is related to the study of the B7-H1 molecule. Dr. Taube and her team are seeking to identify the signaling mechanisms behind B7-H1 expression. She is a member of the College of American Pathologists, United States and Canadian Academy of Pathology, American Society of Dermatopathology and Dermatology Foundation.